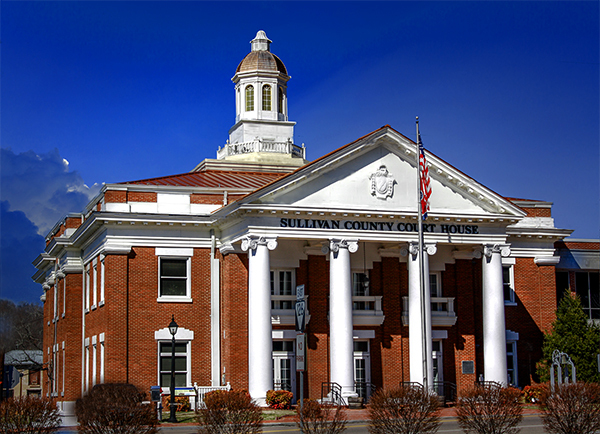 from the Bristol Motor Speedway to Historic Rocky Mount, we think Sullivan County has it all! We are so blessed! When we look around us and see how beautiful historic Sullivan County is, we realize that preserving and showcasing our rich heritage is critically imperative. Our ancestors settled in this beautiful section of East Tennessee over two centuries ago. Remembering the past and those who have gone before us takes us back into yesterday, maybe a century or two, into a world whose heritage is well worth preserving and sharing. Check out our showcase of attractions in the video just below! "Coming home to Historic Sullivan..."
At the Sullivan County Department of Archives and Tourism, our primary focus is on preservation of Sullivan County’s historic governmental records while showcasing the history and attractions, both old and new, in our area. Patrick Henry once said, "I know of no way of judging the future but by the past." Preserving our historic documents and buildings is closest to the very heart of the Sullivan County Department of Archives and Tourism, as it brings us a better understanding of who we are today. Without our historic documents and the beautiful historic sites in Sullivan County, we would often be reminded of ancestors whose names were long since forgotten and of homeplaces lost in time. Please visit beautiful Northeast Tennessee and enjoy our Sunnyside Trail! We invite you to join us in our quest as we preserve the past, share our heritage, and showcase the beautiful attractions in Sullivan County, Tennessee, truly "a Museum of Masterpieces, both old and new".